Super model Erin Heatherton was spotted at Bondi Beach in Sydney, Australia on August 20, 2013. Erin wears a lovely fitted dark brown leather biker jacket from an older season by Balenciaga. Her bag is the Givenchy Lucrezia. Lindsay Lohan who has been a Balenciaga fan since the beginning of motorcycle bags was spotted out with a new one recently. The actress posted a picture on her Instagram account getting a lift from Shaquille O'Neal! In the crook of her arm is the Balenciaga Classic Mini City in black! It's good to see Lindsay on he road to recovery. Her trendy wedge sneakers are by Ash. Reese Witherspoon and adorable son Tennessee were spotted out running some errands in Los Angeles on June 26, 2013. The actress looks very summery with a bright yellow Balenciaga Raffia tote from last season and yellow studded thong sandals (on sale) also by Balenciaga. Brenda Song was spotted leaving the gym in Los Angeles after a workout session on July 18, 2013. The actress keeps her keys in place with a Balenciaga Arena G12 Gold Hardware Key Purse. It is super adorable and comes in very handy with a small mirror in the back! 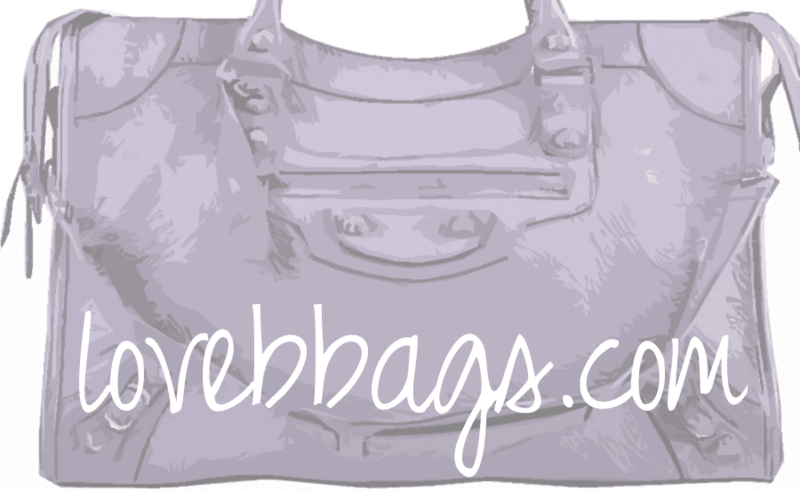 Brenda's purse is a Chloe Paraty in Orange Fizz (on sale). Lea Michele was spotted attending a baby shower on August 2, 2013. The Glee star carries a red Balenciaga envelope clutch with G12 hardware and looks lovely wearing a white lace dress. 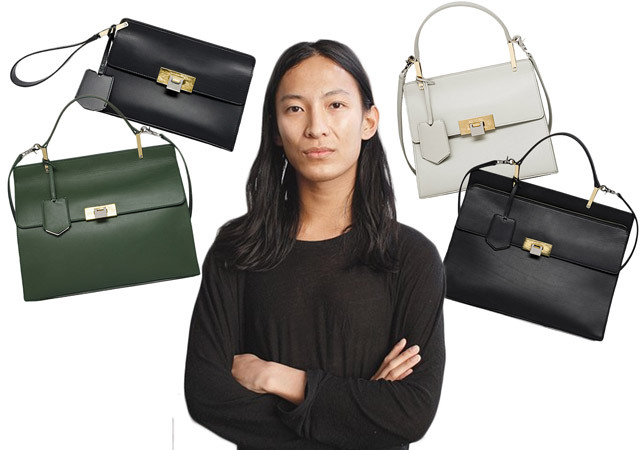 Newly appointed creative director Alexander Wang is soon to be releasing a collection of Balenciaga handbags for the first time this fall. The new design looks nothing like Nicolas Ghesquiere's slouchy studded motorcycle accessories. Instead, it boasts structured sleek lines, smooth leather and simple hardware. My first impression is that these bags have a very formal business-like feel and that it may be difficult to wear as a casual bag. It's still too soon to say that these bags are going to be duds, but personally, it will not be on my bag wishlist. 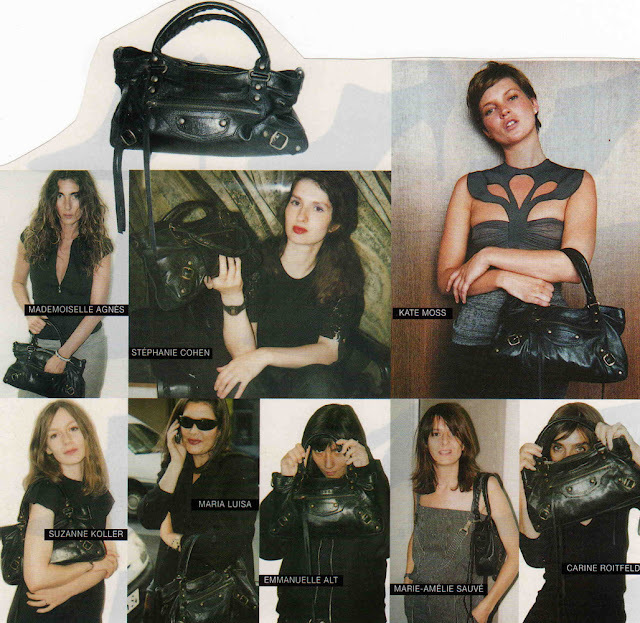 Other designers who have reinvented their label, for example Celine and their "face" luggage bags have had huge success and created much brand awareness. So only time will tell for these. The question we are all asking are.. will the Motorcycle line stay? Will Balenciaga phase out their biggest money maker and our beloved Motorcycle bags? We can expect the new Le Dix to arrive into stores August with the prices ranging from $995 to (a whopping) $2250.